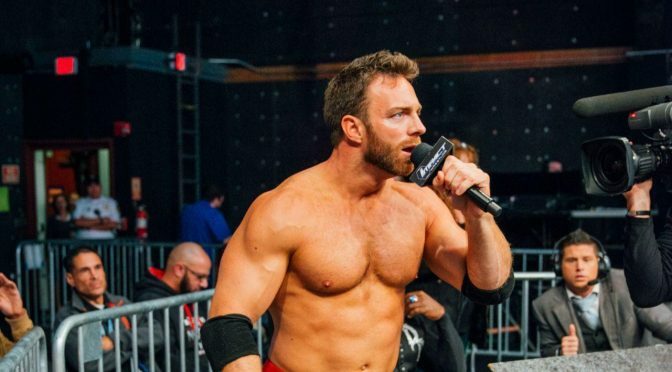 Eli Drake talked to the Wrestling Perspective Podcast recently and revealed that he was pretty unhappy after re-signing with the company. The former IMPACT World Champion shared that from his renewal up until his Abyss angle that started last year, Drake thought he was being wasted. I’ve kind of been written into oblivion the past year. Fortunately, I can speak and that has kept me over, and that has kept me relevant to some degree. Otherwise, a lot of it stemmed from the fact that it was believed that I was leaving. I even thought that I was going to be leaving, and at the last minute I did an inventory of everything, and I was like ‘I’m going to stay here.’ I was thinking that there’s going to be some level of happiness and appreciation [from the company about him staying] like ‘oh great, now we can use him in this great way!’ And then it was like…. uhh, no, we’ll feed him to Joe Hendry. We’ll feed him to… and I’m like ‘what? why? Besides confirming his May 31st contract expiration date, Drake also revealed that he was close to leaving, but thought against. While it’s possible in his quote he was referring to an NXT deal, Drake never outright said. It should also be noted that there were rumors that NXT wanted Drake, though for now those are just that; rumors. New Japan Pro Wrestling has announced that Teruaki Kanemitsu and Michael Elgin have left the company. Elgin has been long embattled within pro wrestling in recent years after claims of harassment and stalking were levied against him. While a restraining order was asked to be placed against him, a judge ruled that he would not be doing so, as the evidence compiled does not directly prove Elgin has participated in anything. That being said, video of Elgin admitting to sexual abusing a woman in a story on the Kevin Steen Show continues to exist online. He has since come to claim that he made the whole story up. In a sign that might reveal her future plans, Cris Cyborg is following the path of a few other MMA fighters and getting her toes wet in the world of pro wrestling. Cyborg has already been to the WWE Developmental Center, talked about being willing to do something for the Rousey-WWE stuff and is now working Starrcast II. Cyborg joins the recently-announced-as-well- Kurt Angle in two major separate Twitter posts that may both have significantly different ramifications. While Angle is wrestling his last match for the WWE this Sunday, it’s entirely possible that Angle leaves the company and resumes a semi-active schedule again. And it very well might be in AEW. Who knows? In more MMA news, the namesake of Josh Barnett’s Bloodsport won’t be going full into pro wrestling anytime soon as the former UFC Heavyweight Champion will sign a deal with Bellator MMA. His addition brings some new blood to the Heavyweight scene that is currently up in the air as several top names may be winding down their career. With Frank Mir, and Fedor Emelianenko‘s future up in the air in MMA as the two men grapple with the idea of retirement, and Mikro Cro Cop having to retire due to suffering a stroke, the division is left in tatters. Quick Hits – Jim Ross revealed that his AEW deal to announce Double or Nothing is ‘imminent’. Dragon Gate was dropped from WrestleCon due to visa issues, and WrestleCon will honor all refund requests that occurred on or after the date the Dragon Gate talent was announced. After wins in their last fights, a huge welterweight bout was signed with possible contender ramifications as Jorge Masvidal will take on the undefeated Ben Askren at UFC 239. Two major MMA stars debuted with ONE last weekend in Demetrious Johnson and Eddie Alvarez; Johnson won his bout against Yuya Wakamatsu in the Flyweight World Grand Prix, while Alvarez lost to Timofey Nastyukhin.